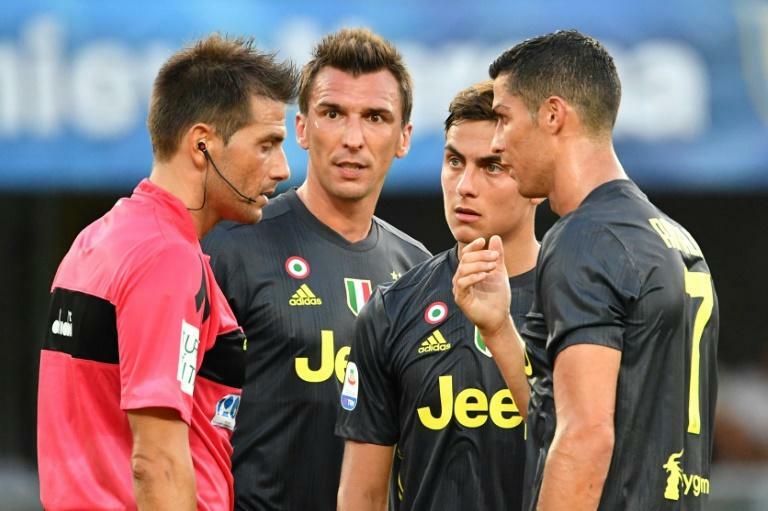 Portuguese superstar Cristiano Ronaldo missed chances to score on his Serie A debut as defending champions Juventus snatched a late 3-2 win against Chievo in a thrilling opening match of the 2018-2019 league season on Saturday. Ronaldo, 33, joined from Real Madrid last month in a deal worth 100 million euros ($114.5 million). Substitute Federico Bernardeschi scored the winner two minutes into injury time with Germany international Sami Khedira opening the scoring after just three minutes at the Bentegodi Stadium. Chievo's Mattia Bani turned into his own net after 75 minutes following pressure from Leonardo Bonucci to pull the champions level after the home side had taken a shock 2-1 lead. Polish striker Mariusz Stepinski had headed in and an Emanuele Giaccherini penalty gave the Flying Donkeys hope of a rare win over the Turin giants. Mario Mandzukic had a goal disallowed late in the game following an incident which floored Chievo goalkeeper Stefano Sorrentino who required medical assistance. But Bernardeschi finished off an Alex Sandro assist to seal the first three points for the champions as they target an eighth straight league title. The game had been preceded by a minute's silence for the victims of the Genoa bridge disaster with players taking to the pitch wearing black armbands. Meanwhile, another big name arrival in Serie A, Carlo Ancelotti makes his debut as Napoli coach as last year's runners-up take on Lazio in Rome later Saturday.